Preparing for retirement is all about asking tough questions of yourself and others. But could you even answer “easy” retirement questions? GOBankingRates surveyed 2,500 Americans about their basic retirement knowledge. To pass, survey respondents would need to answer four out of six questions. However, only 2 percent of respondents were able pass this retirement quiz. Question 1: For People Born After 1959, What Is the Full Retirement Age? A person becomes entitled to full Social Security retirement benefits when they hit full retirement age. You can collect benefits as early as 62, but your benefits will be reduced until the full retirement age. Although you might think of “retirement age” as 65, in the eyes of the U.S. government, full retirement age is 67 for anyone born in 1960 or later. If you start claiming Social Security before this age, your monthly benefit will be reduced. On the other hand, if you delay your Social Security benefits past your full retirement age, you could be eligible for delayed retirement credits that would increase your monthly benefit. If you guessed 65, you are not alone: 39 percent of respondents guessed this answer, making it the most popular choice. However, full retirement age is 65 only for those born in 1937 or earlier. Q: What Does IRA Stand For? An IRA allows you to make tax-deferred contributions to a retirement savings account. But do you know what those letters stand for? An IRA is an Individual Retirement Account. Breaking down the term, it’s a retirement account set up by an individual rather than by an employer. If your employer offers a 401k, you can contribute to both a 401k and an IRA if you choose. Overall, nearly 60 percent of respondents could tell you what an IRA is, and that percentage was even greater among respondents that were closer to retirement age. Sixty-seven percent of those age 45 to 54 and 55 to 64 answered correctly, and 64 percent of those age 65 and over answered correctly. Q. If Your Full Retirement Age Is 66 (0 months) and You Draw Social Security Benefits Early at Age 62, How Much Is Your Benefit Reduced By? Your Social Security benefit is reduced by a percentage for every year early you collect. If your full retirement age is 66 — this applies to people who are born between 1943 and 1954 — you’ll lose a quarter of your Social Security benefits if you start collecting at 62, which is the earliest you can start claiming Social Security. If your full retirement age is 67 and you start collecting at 62, your benefits will be reduced even more: a whopping 30 percent. Most respondents (29 percent) guessed that Social Security benefits would be reduced by only 15 percent if you started to collect four years before the full retirement age. The next-most popular response was 20 percent, with just under 22 percent of respondents choosing c) as the answer. Q: These States Can Tax Social Security Benefits: Colorado, Kansas, Minnesota, Missouri, Montana, Nebraska, New Mexico, North Dakota, Rhode Island, Utah, Vermont, West Virginia and What Other State? Most states and Washington, D.C., don’t tax Social Security benefits, but 13 states do. Do you know which ones? If you live in Connecticut or one of the 12 other states that tax Social Security benefits, you should keep those deductions in mind when planning for your retirement. It’s also important to note that even if your state doesn’t tax Social Security benefits, you still need to account for other taxes, which could include state and local sales taxes, income tax, property tax and taxes on other retirement income, such as IRAs, 401ks and pensions. The majority of Americans answered b) California, with 31 percent selecting this response. However, a third of the survey takers from Connecticut selected the right answer. Q: A Roth IRA Allows Tax-Free Withdrawals in Retirement. 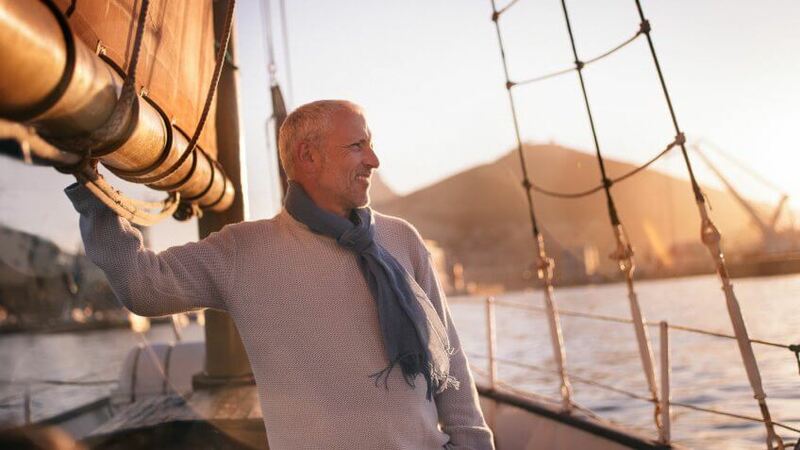 A Roth IRA is similar to a traditional IRA, except you cannot deduct contributions, you can continue to contribute to your account after age 70 1/2 and you can leave funds in the account for as long as you are alive. But when you withdraw, do you have to pay taxes? If you satisfy the requirements that go along with a Roth IRA, qualified withdrawals are tax-free. Most Americans know that with a Roth IRA, the withdrawals you make are tax-free. Over 50 percent of both men and women and people of all age groups answered this question correctly. Q: Which of the Following Is NOT Covered by Medicare? Americans who are 65 and older can receive health insurance through Medicare, which is provided by the federal government. However, it might not cover certain health expenses you could have in retirement. Believe it or not, neither dental care nor hearing aids are part of Medicare’s coverage. Medicare Part A covers inpatient hospital stays, nursing facility care, hospice care and some home healthcare. Medicare Part B covers certain doctors’ services, outpatient care, medical supplies and preventive services. Depending on health needs, people age 65 and older can obtain Parts C and D through private health insurance providers. These levels include more plan choices and prescription drug coverage. The majority of Americans — 44 percent — knew that dental care was not included in Medicare, and 19 percent knew that hearing aids were not included, but only 6 percent knew that neither health expense was covered. If you were part of the 2 percent who passed this quiz — congratulations! It’s clear you know a thing or two about retirement. However, if you found yourself among the vast majority who failed the quiz, let this serve as a small wake-up call to brush up on your retirement knowledge, especially if you’re closer to your golden years than your college years. Click through for another quiz to find out if you’re smarter than the average American about finances. Most Americans Can’t Pass This Tricky Money Quiz — Can You? Here's where you can have a better retirement.